These light, airy bites are a real treat. 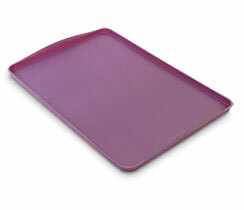 Store in an airtight container for up to 2 weeks. Preheat oven to 250° F (120° C). 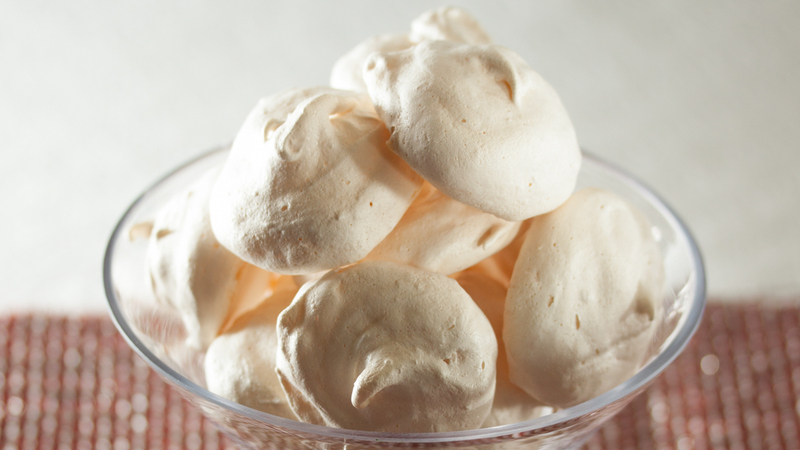 Beat egg whites, sugar, salt and lemon juice in a medium bowl on low speed until foamy. Increase speed to high and beat until stiff peaks appear. Beat in almond and vanilla extracts. Fold in almonds. 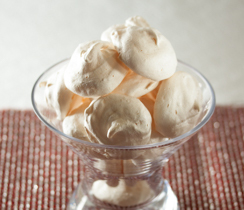 Drop meringue by heaping teaspoonful onto Sheet Pan lined with Bake & Roll. 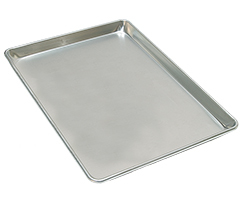 Because oven temperature is so low, you can bake two trays at a time. Bake for 18 minutes, reverse trays and bake an additional 18 minutes. Turn oven off and let cookies dry in oven for 30 minutes.